If you bedroom is not the biggest room in the apartment, do not despair. There are tricks you can increase your bedroom and make it bigger. There are ways for making the room bigger visually, but also more practical and functional. A nightstand is an element in the bedroom that offers the most flexibility and versatility. There are many ways you can implement a night stand into the bedroom and save storage in the same time. 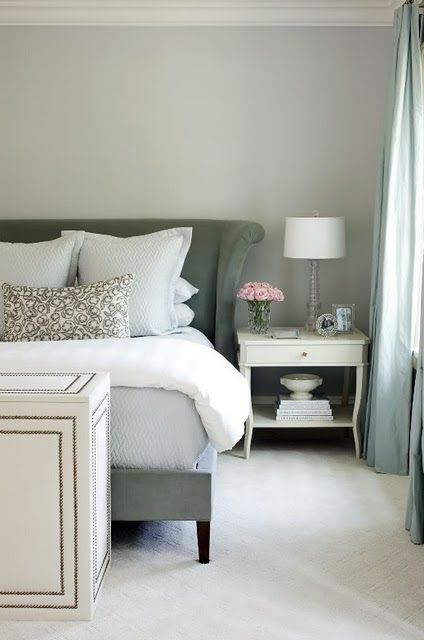 For example, a simple shelf placed next or besides the bed is a great idea for a nightstand. It doesn’t take much space, but it is practical. Another option is to build a nightstand that can mount on the wall. This idea is perfect for small bedroom. In the same time, the space underneath your nightstand can visually enlarge your room, and provide space for stashing shoes and books underneath the nightstand. If you can mount a lamp on the wall you can free even more space. Last, but not least, a deep window sill is another option that can serve as a nightstand. This option works only in narrow room. When it comes to adding extra storage in the bedroom, there are some tricky and creative ways you can explore. The simplest one is to add a floating shelf next to the bed. This idea increases bedside square footage. The next option is to maximize the space above the headboard. In many cases, the space is left unused. However, you can install a shelf, mounted above the bed and add extra storage in your room. If you like, you can even add lights underneath the shelf to create a more intimate, romantic atmosphere. Just make sure that the shelf is located high enough so you do not hit it when reading a book in bed.The shelf can be even a whole cabinet for shoes, books or anything else. For this idea, you need to take an inspiration from common Murphy beds. The idea is to frame the bed with cubes, forming a headboard in reverse. The end result looks like a built in the wall bed with headboard, and cabinets around it. You get a mix of closed and open storage which allows you to display everything you want. In the meantime, you can stash everything else. In order to keep the zone normal, you can paint the headboard zone in one of the neutral colors. The best way to save space or increase the space in the apartment and the bedroom is to think multifunctional. For example, one trend that is catching up the interior design lately is linking the bedroom with the living room. The trick is to separate the bedroom and living room with just a half wall that serves two purposes. First and foremost, the half wall separates the rooms. In the same time, the wall acts as a headboard. Add a rectangular recess on the bed side of the wall and you get a spot for books. It is one of the oldest tricks in the playbook. If you like to visually increase a space, you add white color. The bedroom is no exception. The trick is to paint both the walls in white, while keeping white linens in the room. The white color makes the room looks bigger. And you do not need to go for the standard white. All shades of white are acceptable. As for keeping things interesting and the bedroom lively, add a pop of color with some accessories, such as pink chair, yellow pillow or anything else that comes to mind.